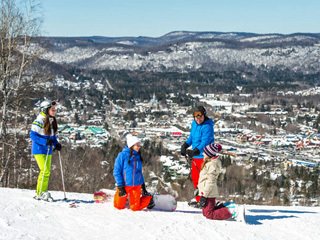 Downhill skiers are spoiled in Quebec with an average of three metres of snow every winter, nearly 90 ski resorts and night skiing, unique in America. 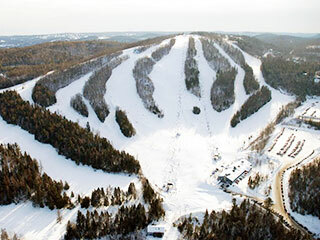 Every winter, a million skiers meet on Quebec’s slopes! From late November to late April and sometimes even into May, Quebec’s ski resorts offer sensational conditions for guaranteed pleasure! You’ll find runs with varying degrees of difficulty for both beginners and experts, whether you’re a fan of parabolic skiing, telemarking, snowboarding or snowblading. Make the most of it and get outside during the day or at night; have fun with that special someone, with friends or with your family! Do you like thrills? 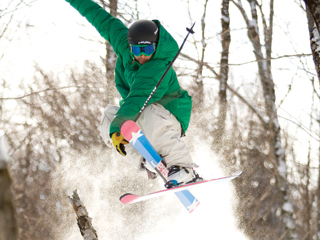 Then come have a great time at one of several snowparks or try off-piste skiing in the glade ski runs. Would you like to learn how to ski downhill? 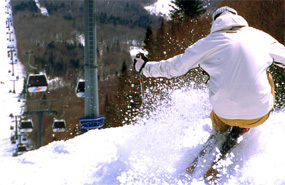 There are several ski resorts that rent equipment and offer lessons.